In my years working in the television industry I’ve had the privilege of working with a lot of companies and in a number of different buildings, but none have quite the same atmosphere at Television Centre. For me this is where I started my career – work experience aged 16, summer placement from university, not to mention my first real job. So for me its very sad that the BBC have taken the decision to close it. While I haven’t directly worked in the building for a number of years I do regularly walk past it on my way to work. So since general access ended a month or so ago it has been looking very quiet. However going past this morning really brought home the fact that it was closed – hoardings had been put up across the main entrance! 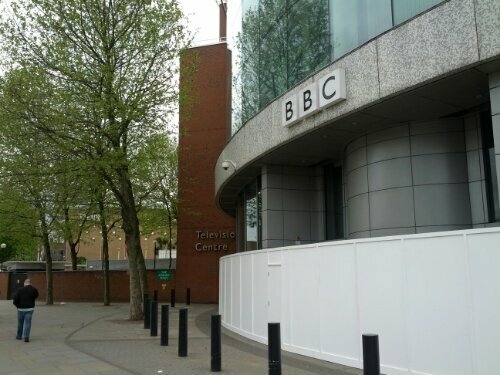 This entry was posted in Television & Media and tagged 2013, BBC, Photo Gallery, Television Centre by John. Bookmark the permalink.